At this point, cannabidiol (CBD) has been explained everywhere from the New York Times to your weird cousin’s unreadable blog. Anyone with even a casual interest in the subject can recite many of the supposed health benefits boasted by this derivative of the cannabis sativa plant. But although it seems like it materialized yesterday out of thin air, it actually has a lengthy (and interesting) backstory. Let’s start with the obligatory background information. The full name of CBD is cannabidiol, and it’s a cannabinoid, like its more famous cousin tetrahydrocannabinol (THC) — though CBD has no psychoactive effects (even at high doses) so it won’t get you high. Proponents say it can be used to treat a huge range of conditions, and any side effects are both rare and mild. You can eat it, vape it, apply it topically, or even use it as a suppository. Thus, for years the study of CBD was sporadic and haphazard. Scientists who wished to investigate its potential benefits struggled to get approval and/or funding. However, as cannabis itself becomes more socially acceptable (and widely legalized), we may be entering a golden age of CBD research. The study of CBD has happened in fits and starts, with major breakthroughs punctuated by long lulls of inactivity. Clinical research began in 1946, when Dr. Walter Lowe began testing it on lab animals. The first medicinal version was released in 1960, and a key discovery occurred in 1980 when Dr. Raphael Mechoulam determined that CBD could be a major controller of epilepsy. Research limped along after that, until recent years when laws finally loosened, allowing scientists to conduct extensive studies into CBD’s potential benefits. Thanks to this newfound freedom of inquiry, scientists have been able to make a strong case for the utility — and legality — of CBD. These days, CBD is legal in the UK, Canada, much of the EU (including Holland, Denmark, and Italy), and many other nations. The UN does not schedule it, and the WHO recommended last year that it ought to remain that way. Its situation in the US is trickier, due to competing jurisdictions and legal systems on the federal and state levels. CBD made from hemp plants is legal in most states, while federally it is a Schedule 5 drug, so long as its THC content is less than 0.1%. The production of industrial hemp was just legalized in the United States, though, which suggests that CBD research may soon become much easier. Here’s an incomplete list of the conditions that CBD has been reported to treat (if you’re reading aloud, you may want to take a deep breath first): nausea, depression, anxiety, psychosis, cancer, diabetes, addiction, heart disease, Parkinson’s, epilepsy, multiple sclerosis, Alzheimer’s, pain, and even acne. The sheer variety of seemingly unrelated uses is enough to justify some skepticism. However, a growing number of experts are speaking up in favor of cannabis-derived medicines. Take, for example, CBD’s potential as a replacement for conventional painkillers. Grinspoon has written that it could be “an option for treating different kinds of chronic pain,” including “inflammatory and neuropathic pain, two of the most difficult types of chronic pain to treat.” If future studies bear this out, it could replace dangerous, addictive, and even lethal drugs like opioids. Not everyone in the scientific community is so bullish on CBD, though. Skeptics have three main reasons for questioning the real efficacy of the popular new treatment. First, research is just beginning and may take years to bear fruit. Second, CBD is currently unregulated, so the current products vary wildly in quality. The third reason is evident to anyone who’s ever Googled “CBD”: there are a lot of hucksters trying to make a quick buck off the latest fad. These factors leave some doctors wary of prescribing CBD to their patients, especially off-label. For the moment, the treatment of epilepsy remains the sole officially-sanctioned use of CBD. 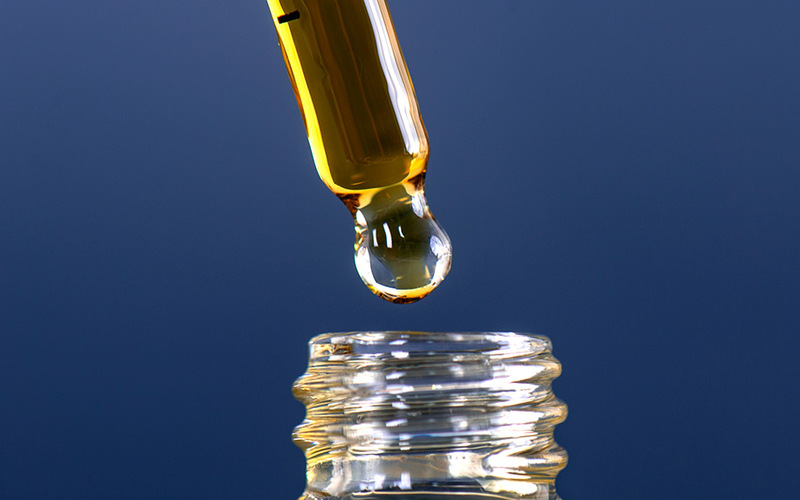 In April 2018, the FDA and DEA approved CBD for use in the form of an antiepileptic medication called Epidolex, which is now available by prescription only in all 50 states. The ruling, while perhaps less wide-reaching than CBD’s proponents would like, does have one major benefit: scientists may now study it more easily in all 50 states. If recent history is any indication, research journals will soon be as full of CBD-related stories as your news feed. Owen Salisbury was born in the USA and currently resides in Vietnam. He writes, takes photos, teaches, and believes he's not going to be replaced by an AI anytime soon. He's also fascinated by pharmacology and used to read his roommate’s university textbooks on the subject.